Shabazz Napier is currently a basketball player for the Portland Trail Blazers of the NBA. He led the University of Connecticut men´s basketball team to the NCAA title in 2014. In the spring of that year, shortly before the Miami Heat drafted him, he told the media: “there are... nights that I go to bed and I am starving" (Majerol, 2014), referring to his time as a college athlete in Connecticut. Whether that testimony was accurate or exaggerated, Napier´s words brought awareness to the unfair situation of many college athletes who struggle to make a living despite millions of people all around the world recognizing them as stars. 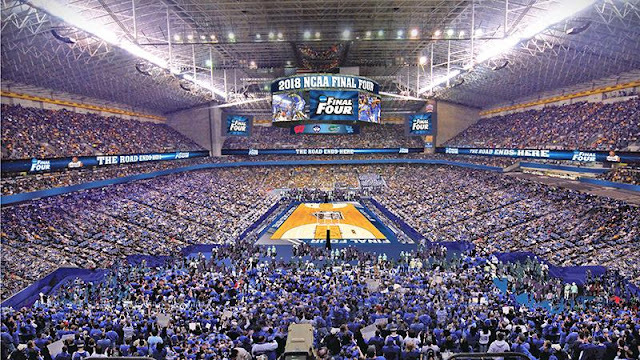 Even though professional sports continue to be dominant, college sports in the United States have considerable following from fans from all around the world. It is a tremendously lucrative industry for athletic programs, media networks and television stations, such as ESPN or CBS, which broadcast games and report about the competitions, and all the people who work in high-profile collegiate athletic programs, especially for major teams which, contrary to professional teams, save considerable amounts of money by not paying players, as CNN Money reports: “men's college basketball teams earn money selling tickets and merchandise, but the bulk of their profits come from TV deals. Their profitability is helped by the fact that players don't get paid beyond the scholarships they receive. That's why the profit margins for college basketball are significantly higher than they are for pro teams. In fact, more than a dozen college teams have profit margins above 50%” (Isidore, 2015). Despite these remarkable profit margins, none of that profit is returned to the athletes. Paradoxically, the main characters of the game, the ones who perform on the biggest stages, are forbidden to receive any kind of compensation for their performance, yet they are expected to perform at the highest level, with millions of people watching and with the reputation of their universities on the line, while balancing their commitment to the team and their academic responsibilities. Many of them, like Napier, are in dire financial conditions and do not have enough resources to live, while they still deal with the pressure that comes with being a nationally known figure. While each university should be able to regulate their own payment policies, players should be able to benefit from their value by signing deals with third parties like sponsors, or negotiate on their image with television networks. Historically, collegiate athletic programs are built on their success and recognition, which come from the amount of achievements they accomplish and their greatness, as well as the players that take part in these programs. Regardless of the resources that each university dedicates to their athletic programs, success is the ultimate measure for a school´s recognition and popularity. Winning makes players want to play for certain teams. Therefore, the most successful programs are able to recruit the best prospects in the world. Players on the team play a large role in the team´s success, attracting other prospective players who are interested in playing for that university. By succeeding on the court, college athletes pose tremendous value for their universities as they allow their programs to stay competitive by attracting new prospects. Players are not only responsible for doing their best for their teams, but also, “due to their ability to raise the university´s profile and add to the profitability of a school´s athletic programs, exceptional athletes are of great value to universities” (Beamon, 2008). As Beamon explains, players are the main assets that athletic teams have to become both more popular and profitable. On the other hand, coaches and technical staff are generally the ones responsible for the recruiting and scouting of new players. However, players have a responsibility to put their teams in a position of maximum visibility and recognition for fans, prospective players, the media and other important audiences. This relationship between player and team is one of the primary reasons why high-level athletes are paid fortunes to do their job. It is not just because of the great demands of their environment, but also because they are ambassadors of a bigger brand: their team. Players have to be regarded as the main components of any team in any sport. Outstanding players not only provide visibility and recognition to their universities by excelling at their sports, but they are also relevant financial assets for them. 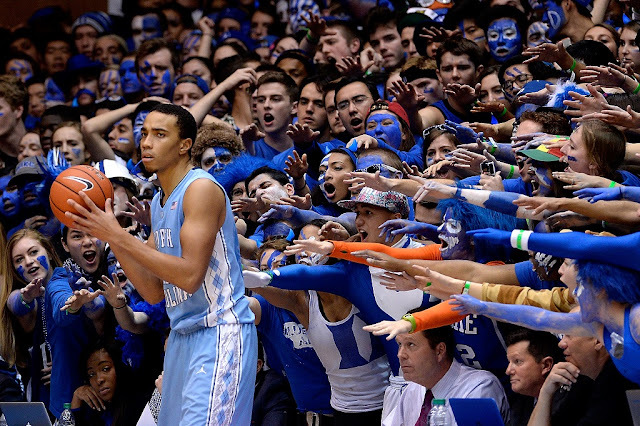 In an analysis performed by Business Insider in which they used “the NBA´s most recent collective bargaining agreement in which the players receive a minimum of 49% of all revenue, each school's men's basketball revenue was split between the school and the athletes with the players' share divided evenly among the 13 scholarship players” (Gaines, Yukari; 2017), in order to calculate the financial value of college basketball players. The average value for a Division I player turned out to be $ 170,000. For some top programs like the University of Louisville, each of its basketball players is worth $ 1.72 million on average, with a total revenue of $45.6 million generated by the basketball team (Gaines, Yukari; 2017). This study helped prove the remarkable financial value of college basketball players for their teams. Not only are players financially valuable for their institutions, but they are also largely responsible for the success of their team. Like professionals, college athletes are demanded to perform to the best of their abilities to help their team win. While coaches and other staff are also relevant pieces, none of them are as important as the players. Coaches are considered full-time employees, and they have all the benefits that come with employment. Athletes, however, work similar amounts of time and don´t get nearly as much compensation as their coaches do. For example, Jim Boeheim, the coach for Syracuse University men´s basketball team, is paid $ 2.1 million per year (Fairburn, 2016). 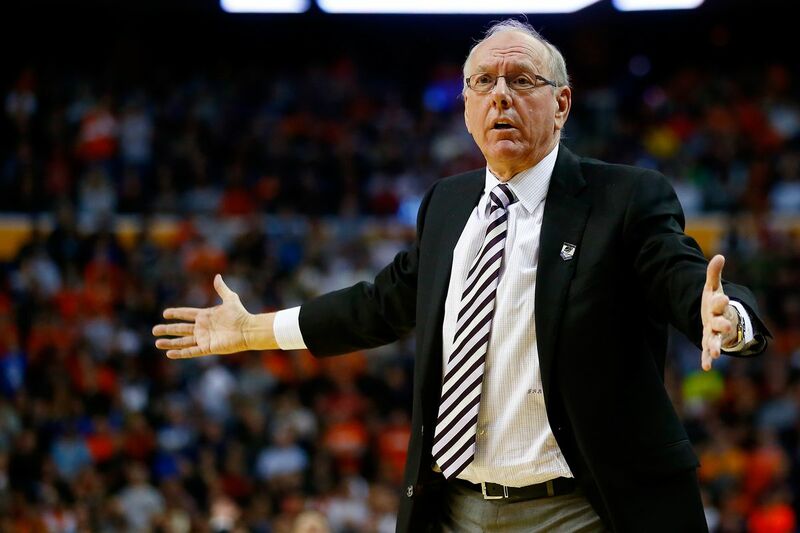 Boeheim, who is in the Basketball Hall of Fame, is recognized as one of the best basketball coaches in history. However, he wouldn´t have been able to develop that reputation without the help of his players. Similarly, Mike Krzyzewski, the top-paid college basketball coach in the country, earns an annual salary of $7 million, according to Fairburn. This salary reflects what Krzyzewski has accomplished in his position and his importance for Duke University men´s basketball. However, their players were the ones who won the games. While both of these coaches have been responsible of recruiting and developing high profile players and assembling highly successful teams, it was the players who worked for them who got the job done on the court to achieve team goals. Coaches are essential for teams, but it is the players who ultimately execute the coach´s game plan. In today´s highly competitive sports atmosphere, athletes have to make a full-time commitment to practice, play and participate in team activities while still doing the best they can with their classes. While universities provide personal assistance and tutors specifically for their student athletes to succeed academically, this help is useless considering they cannot give athletes what they demand the most: better financial and overall conditions. Not only is their time extremely limited due to the high volume of activities they have to participate in, but their energy expenditure, their sacrifice and dedication to stay in shape and perform at the level they are required to is much greater than any other student´s time and sacrifice dedicated to their responsibilities. Additionally, they have to deal with the pressure of thousands of spectators watching them every night and being the subject of the criticism of many people. Professional athletes are paid to do this because the demands for an elite athlete are the greatest that can be found in about any professional industry. The same happens with college athletes, but they are not considered employees whatsoever, and they should, according to Robert McCormick, a law professor at Michigan State University and a former attorney for the National Labor Relations Board under President Carter (Cooper, 2011): “There are more demands put on these young men than any employee of the university… These young men are laboring under very strict and arduous conditions, so they really are laborers in terms of the physical demands on them while they’re also trying to go to school and being required to go to school,” (Cooper, 2011). By pointing out the sort of conditions student athletes have to endure, the author also highlights the differences between a student athlete and a regular student. McCormick also analyzes how the players´ performance and consequent happiness is directly linked to the coach´s decisions. For example, if a player is not performing well and doesn´t fit into the coach´s plans, he is essentially “fired” for not doing his job according to what the coach expects from him. Players who don´t have the opportunity to play significant amounts of minutes for their teams are forced to transfer to other schools in order to continue practicing their sport. This is similar to working for a company that does not value its employees and forces them to move out so they can receive the appreciation they deserve. The fact that coaches have such a significant impact on the life of their players is also something to be considered, as their status and reputations depend on someone else´s opinions, trust and confidence in them. Players are under constant criticism and scrutiny from fans, media outlets and, more importantly their coaches, who have the authority to ultimately impact their future in a relevant way. Parallel to all of these issues, this conflict of players not being able to perceive benefits from their activity stems from the unilaterally-imposed measures of the National Collegiate Athletic Association, the NCAA, which regulates a significant portion of the college athletics industry by controlling many of the top-level athletic programs. The NCAA strives to be an institution that sets the rules for combining sports and academics in a sustainable and purposeful way, prioritizing academics over sports, which are regarded as a complementary activity. According to the NCAA, college athletes are “amateurs”. In other words, they do not practice their sport professionally. Instead, they are “student-athletes”. According to the NCAA policy, “amateur competition is a bedrock principle of college athletics and the NCAA. Maintaining amateurism is crucial to preserving an academic environment in which acquiring a quality education is the first priority. In the collegiate model of sports, the young men and women competing on the field or court are students first, athletes second” (NCAA, 2017). For this reason, the NCAA strictly prohibits players to receive financial compensation for their athletic activity, as well as any relationship with professional sports or agents (NCAA, 2017). The NCAA has very specific policies on which type of compensation athletes can receive, which is essentially narrowed down to scholarships from their schools: “Article 12.1.1.1 prohibits any direct or indirect salary, gratuity or comparable compensation (…) Even if such an award is permitted under the rules governing an amateur, non-collegiate event in which the individual is participating” (Mueller, 2004). The NCAA clearly states in its eligibility requisites that a player is not eligible to be an NCAA athlete if he or she has ever “taken pay, or the promise of pay, for competing in that sport” (Summary of NCAA eligibility regulations, 2017). Ironically, college sports generate hundreds of millions of dollars every year, yet players are the ones who receive the least from the value they create. This hypocrisy can only happen in a “billion dollar non-profit organization” (Collins, Torre, Brennan, 2016). Schools, however, are allowed to offer prospects a certain number of scholarships to pay for the cost of attending their institution in order to attract them. While this means a great opportunity for athletes to receive education from prestigious institutions while being able to play sports in internationally known teams, it is still not enough compensation for what the athletic activity entails, especially for those athletes who compete in a high profile sport, like football or basketball, in which a majority of teams generate a significant amount of revenue. 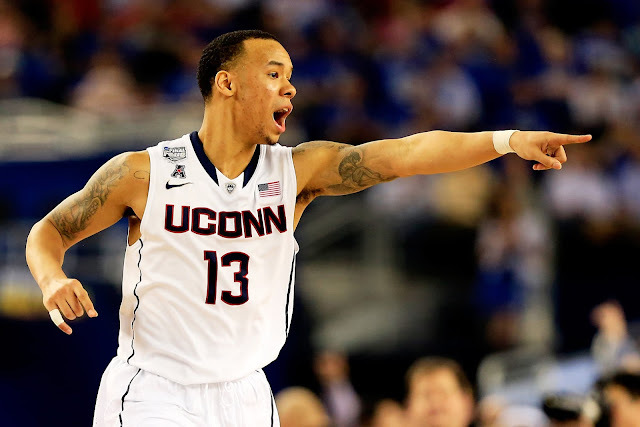 Being able to attend college without having to pay the high costs that come with it is a privilege, but it is still not enough, especially for those athletes who come from low-income communities and struggle financially, like Shabazz Napier, the star of the University of Connecticut men´s basketball team, who, despite his high profile, suffered from financial scarcity. Despite its focus on academics, the NCAA seems to be unaware of one of the most glaring issues in college sports. Most college athletes will not have the opportunity to play sports professionally once they graduate from college. These athletes, therefore, will be focused on finishing their degrees in order to have more professional opportunities while competing for their varsity team. However, there will always be a significant number of athletes who have the necessary talent and skills to be able to play sports professionally. These athletes, especially the ones that are highly sought-after by recruiters, see their college years just as a necessary step towards the NBA or the NFL, between others, and not as an opportunity to receive higher education. In recent years, there has been a significant increase in “one-and-done” players. These are usually highly recruited players who go to college for just one year, in order to fulfill the NBA´s age eligibility requirements of 19 years or older. The problem with “one-and-done” players is that they do not represent what a student athlete should be. They cannot fully benefit from the college experience by attending it for just one year. Often times they do want to attend college and be college athletes, but the possibility of making considerable amounts of money drives them to join a professional sports league. Due to the lack of economical opportunities for college athletes in the United States, some players even choose to play in other countries and earn money before going to the NBA instead of going to college. Emmanuel Mudiay, currently a point guard for the New York Knicks, chose to play in the Chinese league before going to the NBA because he could start earning money. More recently, Darius Bazley, a no.9 ESPN Top 100 high school recruit, decommitted from playing for Syracuse University next year to enter the G-League, the NBA´s development league. While Bazley´s move is unprecedented, it wouldn´t be surprising to see more players snub the NCAA and take an alternative path to professionalism. In a video for ESPN, Jay Bilas, a college basketball expert who played for Duke University, says “NCAA president Mark Emmert often says the one-and-done rule forces players to go to college, yet when the issue of compensating college athletes is approached, Emmert is quick to say nobody is forcing athletes to go to college and accept the NCAA´s unilaterally imposed terms” (Collins, Torre, Brennan, 2016). Consequently, allowing athletes to use their value to their advantage and receive compensation would motivate them to build a successful college career, both on the court and in the classroom, and not rush to the NBA in order to start earning a high salary. Compensations for college athletes would also provide the NBA with players that are more prepared, both to play basketball and to manage the extraordinary amounts of money they will eventually handle when they become part of a professional roster. It is often argued that one of the reasons why college athletes are not allowed to receive compensations is because paying them would go against the educational values of sports, leading these athletes to misspend their money and mishandle their success and therefore their careers. If an athlete is truly capable of having brands or third parties interested in sponsoring him, it is no secret that he has the potential to play sports professionally. Therefore, he will have to manage considerable amounts of money sooner or later when he takes the step to the professional leagues. Money is actually the reason why these athletes decide to leave college, giving away their education in order to enjoy better financial conditions. In any case, if making money while being a student is the issue, it is worth noting that virtually any student can earn money while they study by working either with an on-campus or off-campus job. College athletes, however, do not have this possibility for two reasons: they are forbidden to do so, and their time outside of practice or the classroom is extremely limited due to their obligations. In an episode of his podcast “The Vertical Podcast with J.J. Redick”, JJ Redick, former basketball player at Duke University and now a professional basketball player for the Philadelphia 76ers of the NBA, hosted Jay Bilas, another former Duke basketball player who is now a basketball broadcaster for ESPN, to discuss the way in which the NCAA restricts players from earning a salary. Bilas explained that, ironically, there are several ways for any regular student to make money, while college athletes see how the NCAA forbids their access to these financial opportunities. “If money got into the way of education, or was somehow, as they say, ´antithetical´ to what education is about, then they would limit what any student could earn, or any scholarship student. So if you are in a music scholarship, you can cut a record, you can appear in the Tonight show, you can make money however you want. If you are an actor, an actress, you can do whatever you want, it doesn´t affect your status as a student, so no other student is limited in any way…Why would we have a unilateral wage ceiling on only one class of person, that being an athlete?” (Redick, Bilas, 2016). This conversation between Redick and Bilas puts the current situation of college athletes into perspective, especially compared to the general economic background and culture of the United States. 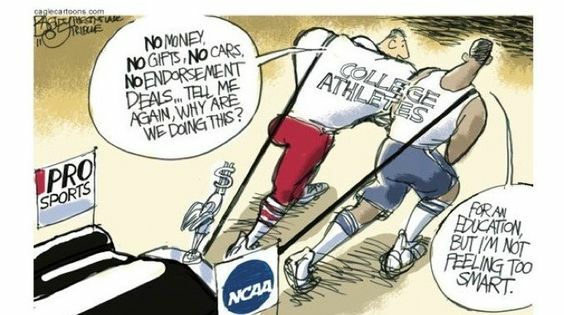 In a highly liberal, capitalist economy based on liberalism, freedom, and competitiveness, an organization like the NCAA is preventing college athletes who generate millions of dollars from receiving any percentage of that value in return. The solution is to allow the universities to have their own policies regarding athletes´ salaries, and let the players make profit from third parties like sponsors or jersey sales. These players have to deal with criticism from outside sources and with the pressure of striving to be a high-level professional athlete. But on top of this, the NCAA utilizes them as advertisements, making profit with their names and personal brands by selling jerseys or using them as an attraction for sponsors while banning them from earning money in any type of way. While the scholarships they enjoy are something to be thankful for, they are not enough to prevent athletes from struggling financially.